The Volvo XC40 has been crowned carsales' Car of the Year for 2018. Podium also for the Volvo XC60 having received carsales' Highly Commended award. carsales Car of the Year annual automotive award provides expert evaluation, data and consumer sentiment by recognising excellence in the new-vehicle market, and distinguishing just one winner from every new model released in Australia. The carsales award is the third major automotive accolade notched up by Volvo in 2018. In January the mid-size SUV Volvo XC60 was named 2018 Wheels Car of the Year and in June the Volvo XC60 D4 Inscription was the Australia's Best Cars category winner by taking out the Best AWD SUV $65,000 - $125,000. 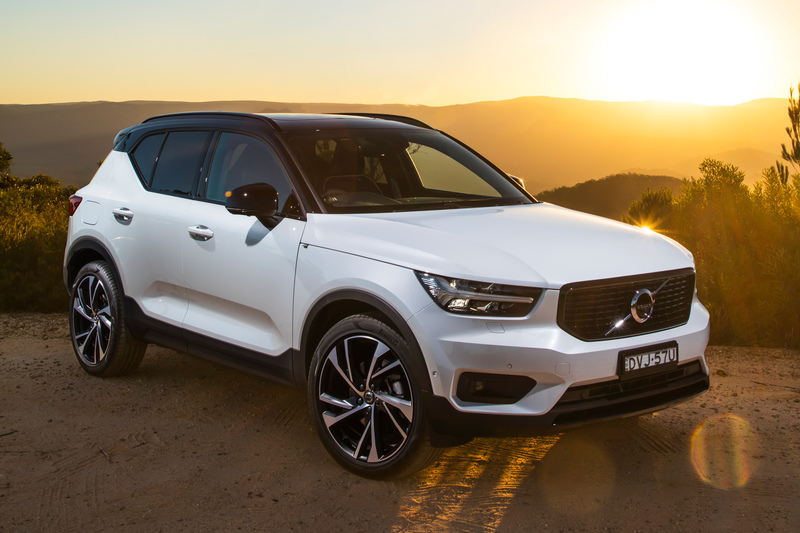 "After extensive testing, the Volvo XC40 outscored all other finalists to emerge as the deserving recipient of the honour – carsales Car of the Year for 2018," said Mike Sinclair, Editor in Chief for carsales.com.au. "The Volvo XC40 is the Swedish brand's first compact SUV and was described by our expert judges as sophisticated, high-tech, refined, dynamic, safe and ergonomically innovative, making it comfortable and easy to drive. "It also scored very well on key cost to own and run data," he added. "This is the first automotive award for our XC40 in Australia so it is a very special moment for Volvo Cars," said Volvo Car Australia Managing Director, Nick Connor. "We know that our car's styling, quality and performance is second to none but to have it confirmed by expert evaluation that presents its winner and finalists to the largest automotive audience in the country is particularly rewarding." "2018 has been a highly successful year for Volvo Cars in Australia. We have achieved double-digit sales growth led by the popularity of the XC60 and the newly introduced XC40." And let's remind ourselves that Volvo's growth has bucked the trend in the premium segment where most makes have gone backwards and indeed the overall market is also down." "Winning carsales Car of the Year for 2018 is a fitting tribute to an incredible year for Volvo, and is testament to the evolution and growth of our brand in Australia which is one of the most competitive car markets in the world." Mr Connor concluded. Powertrain: Powertrain performance, acceleration, drivability and efficiency. Chassis: Suspension performance, steering precision/feedback, brakes and stability. Comfort and refinement: Ride quality, ergonomics, seat comfort front and rear, ease of use, NVH and powertrain refinement. Packaging: Space efficiency, cargo capacity, oddments storage, practicality. Safety, infotainment and connectivity: Driver aids, ANCAP rating, infotainment, convenience systems, connectivity, navigation and Bluetooth. In 2017, Volvo Cars employed on average approximately 38,000 (30,400) full-time employees. Volvo Cars head office, product development, marketing and administration functions are mainly located in Gothenburg, Sweden. Volvo Cars head office for China is located in Shanghai. The company's main car production plants are located in Gothenburg (Sweden), Ghent (Belgium), Chengdu and Daqing (China), while engines are manufactured in Skövde (Sweden) and Zhangjiakou (China) and body components in Olofström (Sweden).